About 30 years ago, Hollywood producers began to struggle mightily trying to come up with fresh ideas for sports based movies. With virtually no stone left unturned, these creative geniuses had to dig deep into the annals of human competition to deliver compelling stories, likable characters, and triumphs over evil that don’t include full-scale war. What they came up with forever changed the sports movie landscape, and inspired a generation of our young to put down their basketball in favor of a foosball. Behold, the birth of the “pseudo” sports flick, in all it’s craptastic glory…..Below is a comprehensive list, featuring the biggest and baddest of this underrated genre. Enjoy. 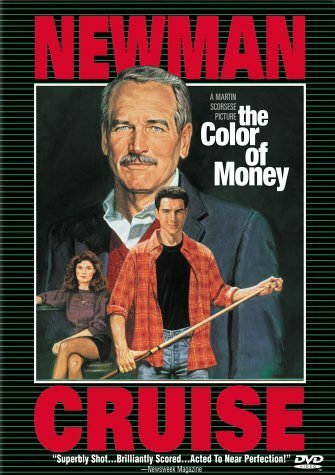 Question: What happens when you mix Tom Cruise as a cocky young hotshot know-it-all Italian pool shark and Paul Newman as an aging gunslinger who still has a little gas left in the tank? Answer: An overrated movie that will make you feel like it is approximately 45 minutes too long. I am a huge Martin Scorsese fan, but he needs to stay away from dramas revolving around a pseudo-sport such as pool, and stick with what works: senseless yet intriguing violence. So there you have it. We can’t all be football, baseball, basketball, or hockey stars, so the 80’s, and the rise of “pseudo-sports” movies helped inspire a nation of Nintendo playing obese children to put down the controller, and grab a pool cue. God bless you 80’s, the messages you gave us will forever add to our pitiful exsistences…..